Note: All the following projects started with Enercon's technical evaluation of the facility's steam and condensate return systems. 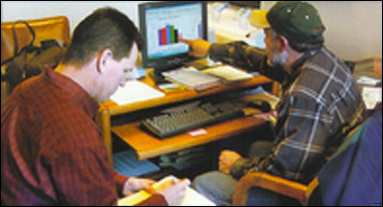 The technical evaluation is performed to ensure the system is properly set up to achieve the specs anticipated in the original engineering design. During the technical evaluation some, but not a complete list, of the items noted are – Trap placement; Control Evaluation; Desuperheater evaluation; Analysis of condensate return; Piping configuration; etc. Result: The Engineering Manager of the company sent the following photo and wrote: "We don't have a condensate return system to the boilers so condensate flows directly to our firewater pond. This shows two drain pipes discharging hot condensate to the pond. 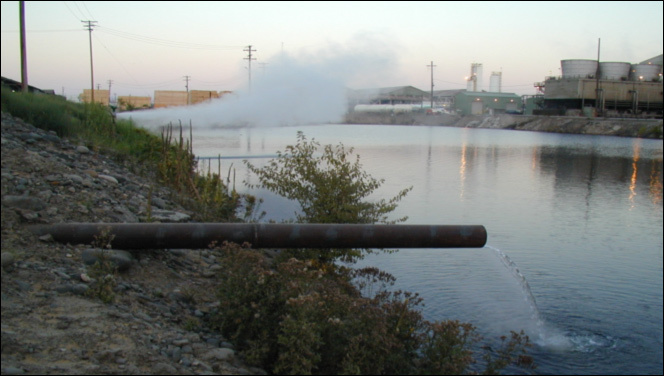 Steam plume from the old kilns with bucket traps vs. the more liquid flow from new 104' double track kilns (with Enercon) during low temperature startup." Condensate return tank pressure dropped 80% - from 100 psig to 20 psig. 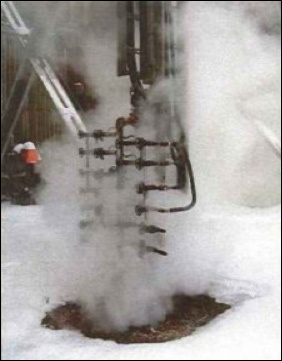 Steam load dropped approximately 12% - 4,000 lbs/hr. 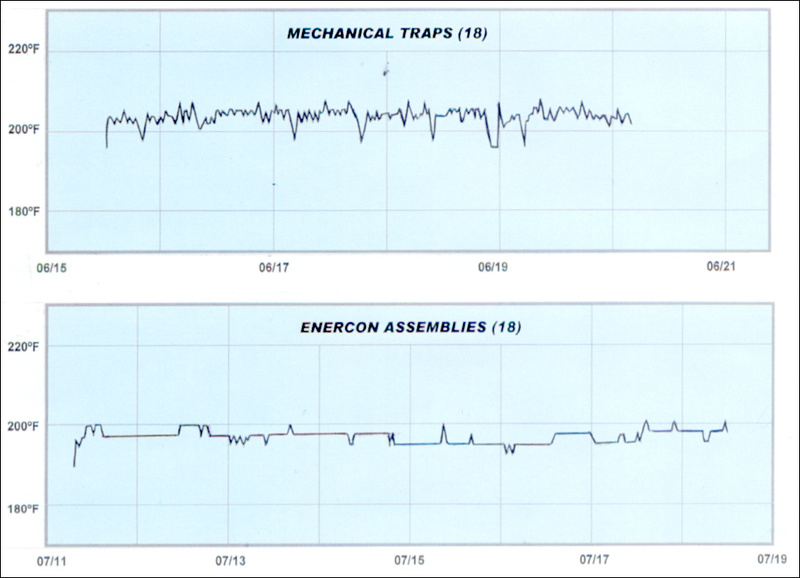 Entirely eliminated steam trap maintenance – entity claims to having had no maintenance issues, nor spent any time on maintenance, with the Enercon units since their install. 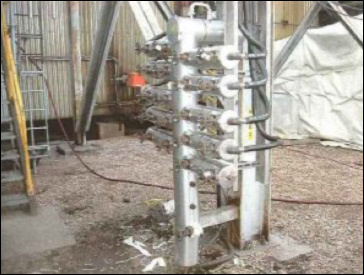 Distribution lines were tested from boiler to end of the lines and found to have a consistent pressure, temperature, and BTU count throughout the lines. 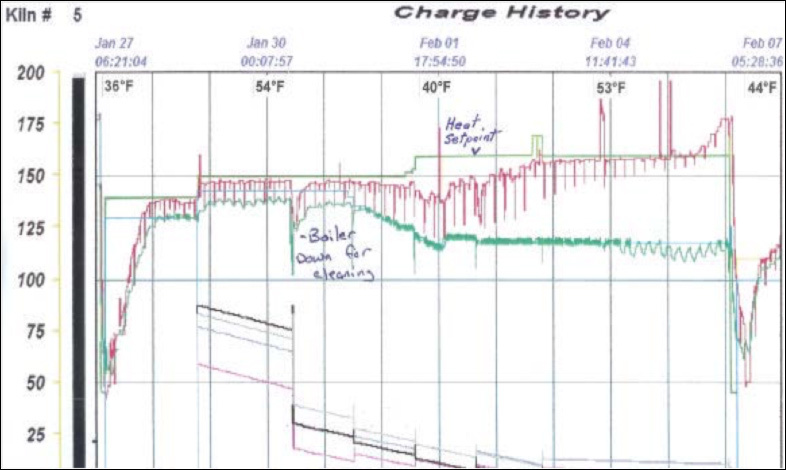 Condensate return tank pressure was 20 psig – exactly the same as thirteen years earlier. Steam load was exactly the same as thirteen years earlier. Reduced start up time 62.50% - from 4 hours to 1.5 hours. Increased reliability of system, reduced downtime and eliminated all trap maintenance. Inquiries 20 years after installation reported all original Enercon Venturi units in operation and working as when initially installed. 1. All the spikes on the Enercon graph are due to paper changes. 2. The company was able to achieve the desired product quality, running at a lower temperature setpoint with Enercon due to the lack of spiking. Charge time was reduced 30% - from 10 days to 7 days. Kiln temperatures responded more quickly to setpoint changes. Test: Kiln (#5), species (6/4 Poplar) and drying schedule identical for each test. 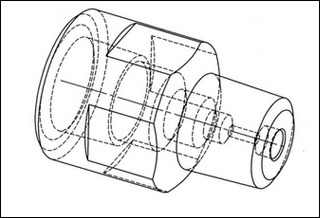 VARIABLES: (1) One Enercon unit for each coil; one inverted bucket trap for each two coils. (2) Ambient median temperatures as shown on charts. CONCLUSION: With Enercon units installed, initial setpoint temperature was reduced by 7 hours, 52 minutes and total charge time by 3 days. 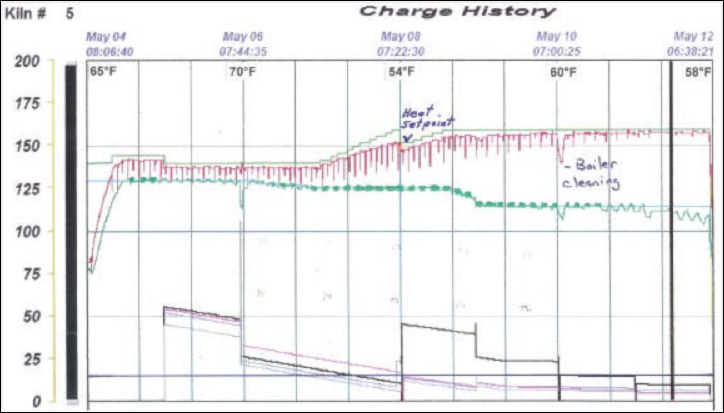 Kiln temperatures responded more quickly to setpoint changes.